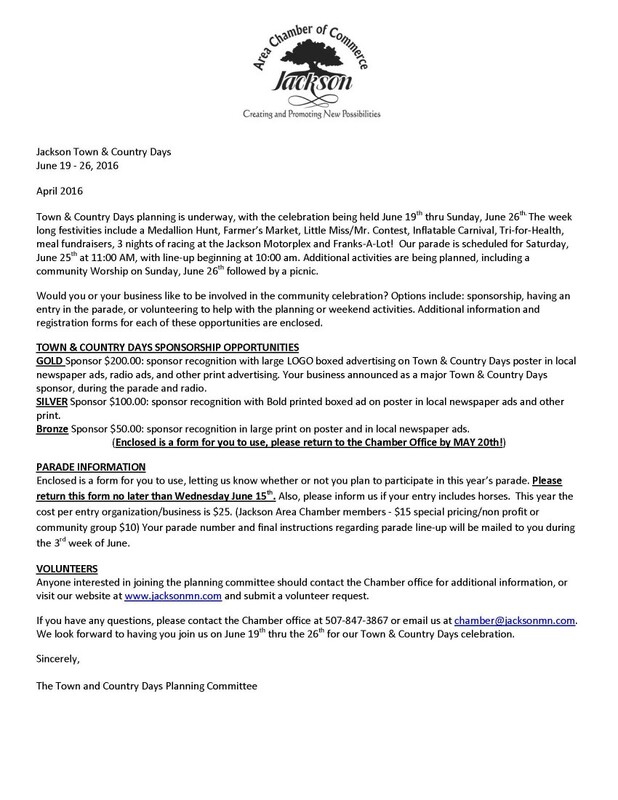 Overview Letter to Businesses and Organizations explaining ways to get involved with this year's celebration. 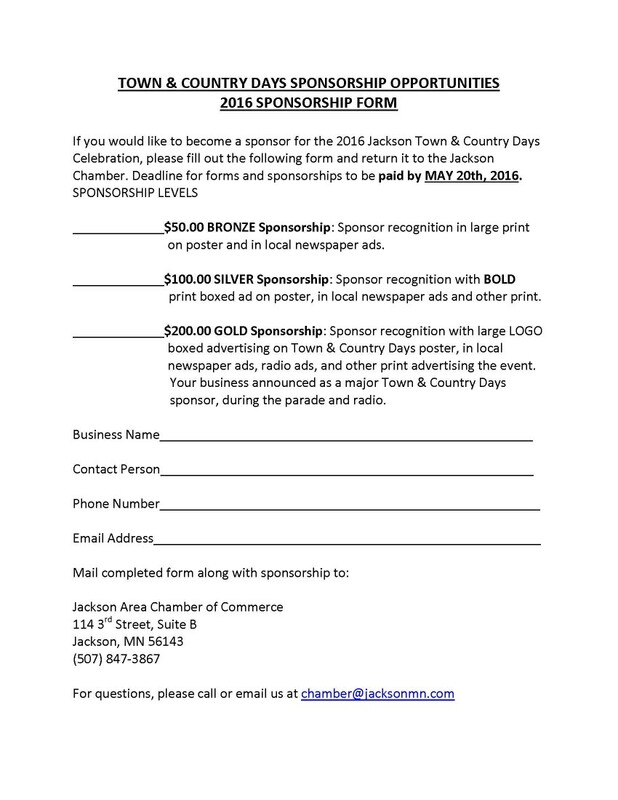 Parade Entry Form: Registration Deadline is June 10th! 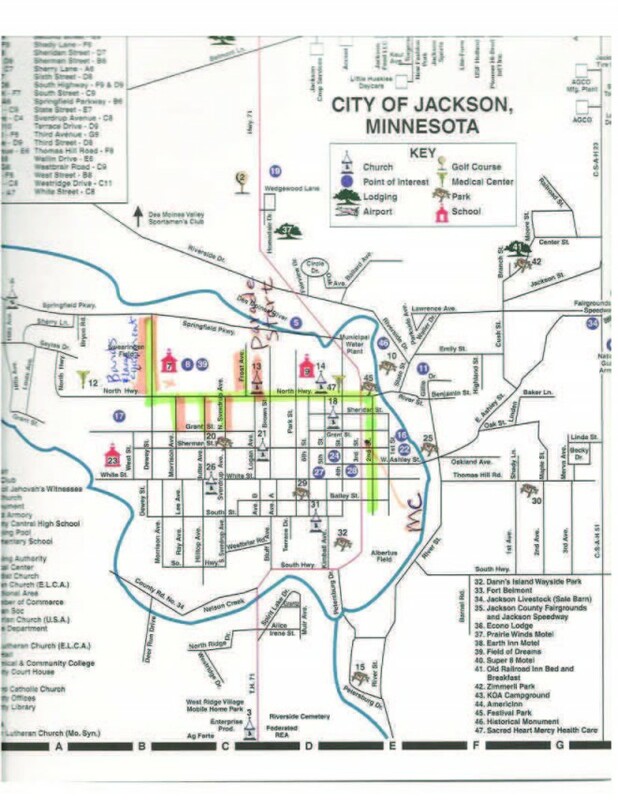 All forms, questions, comments and concerns can be returned to the Jackson Area Chamber of Commerce via email at: chamber@jacksonmn.com, or via mail: 114 3rd St. Suite B, Jackson, MN 56143. 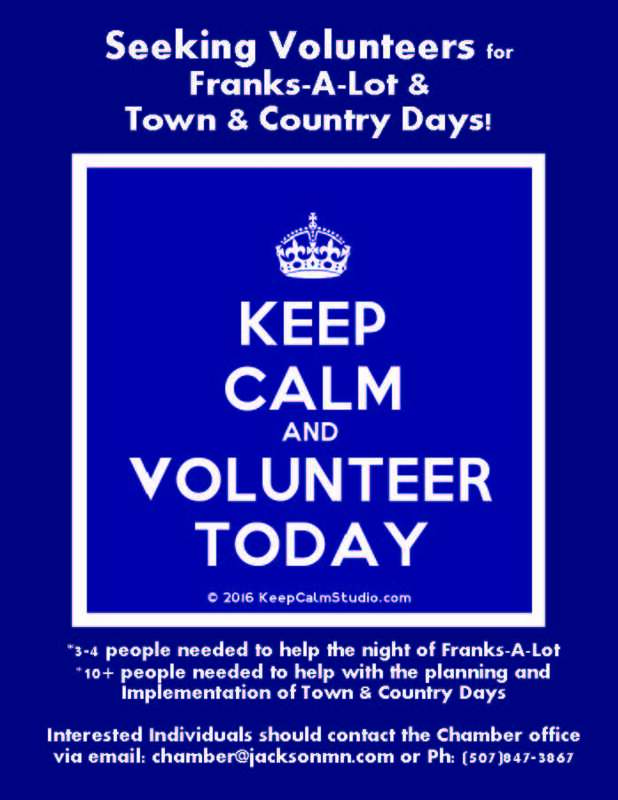 Thank you for your consideration and participation in this year's Town & Country Days Celebration!